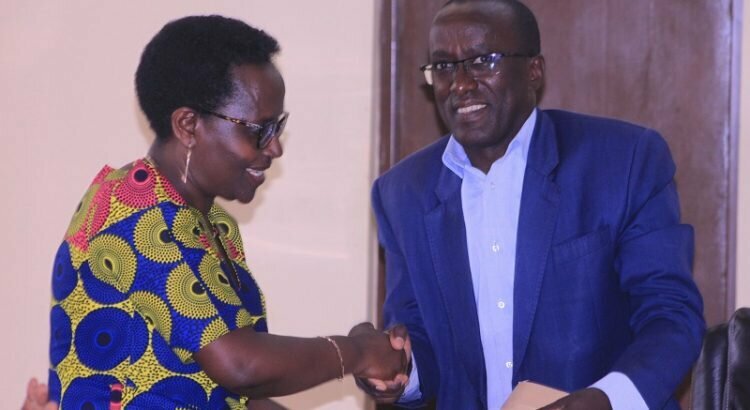 BUJUMBURA July 30th (ABP) – Ms. Joséphine Ntahobari, in charge of the UNESCO Office in Burundi officially submitted last Friday July 27, 2018 to the Ministry in charge of education, some copies of a book entitled “Cultural values of Burundi “. 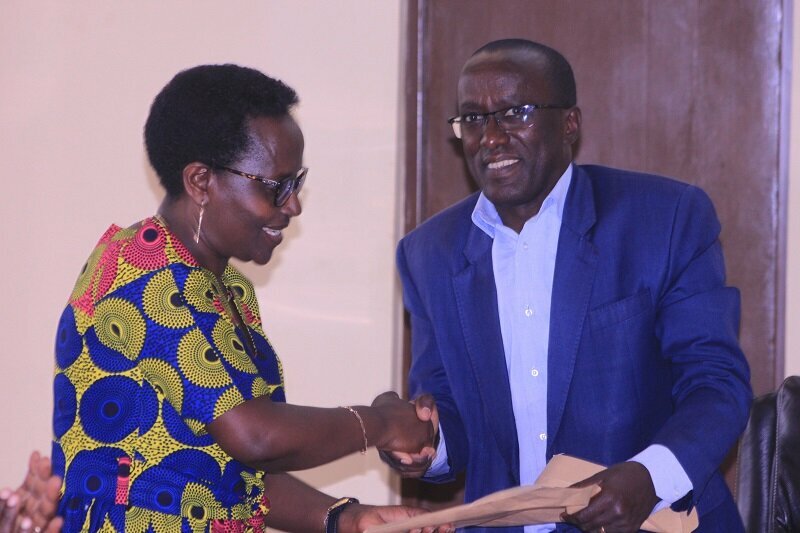 It was the Permanent Secretary of the Ministry, Mr. Léopold Havyarimana, who received them on behalf of the Minister busy with other services. The Handbook on Cultural Values ​​is intended for the various governmental institutions, including secondary schools and higher education institutions, associations, documentation centers, libraries, and is intended to be a contribution of UNESCO to ongoing consolidation efforts of peace and development. The wish of UNESCO, as expressed by Ms. Ntahobari, is that the tool be widely distributed and that educators and cultural actors find there a complementary source of inspiration and reference, so as to make their interventions more targeted, more relevant and responding to the major interests of the Burundian people. According to the desk officer at the UNESCO House, the major objective pursued through the provision of that book is that of changing mentalities and behaviors, with a view to the emergence of a society more human, more mutual and more fraternal. An ideal which, according to her, implies to train the younger generations and the society, in order to avoid the uprooting, the deculturation. Based on the words of Joseph Kizerbo, Burkinabe professor in his book “Educate or perish,” she stressed the importance for any society, prepare its future, organizing it around what matters most; that is to say around cultural values ​​and the promotion of African languages. According to Ms. Ntahobari, since its creation, UNESCO has invited the Member States whose Burundi mobilizes to teach, educate and promote among youth the ideals of a culture of peace, dialogue and mutual understanding, tolerance, of human rights, conviviality and living together in diversity. Its role in the promotion of cultural values ​​is particularly materialized through the 2003 and 2005 conventions. Conventions focused primarily on the safeguarding of the intangible cultural heritage and on the other hand on the promotion of the diversity of cultural expressions. According to him, Mr. Léopold Havyarimana, expressed the thanks of the Government of Burundi to UNESCO for that manual which comes on time. He expressed the hope that the handbook will be a useful guide and educational tool for education in national cultural values, in an increasingly globalized world. He ended his remarks on urging school officials, teachers and parents to use that manual wisely and serve as a transmission belt, the cultural values ​​to the children they are responsible for educating.